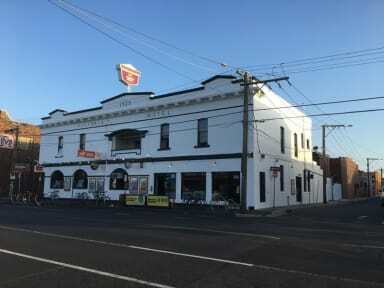 Victoria Hotel Backpackers i Melbourne, Australien : Boka nu! The atmosphere is very nice and it's easy to feel at home. Very nice and helpful staff. 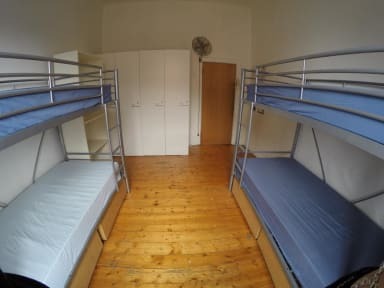 There is much more space to put your stuff then any other hostel I've been to which is very good if you stay for a longer time, you even get a wardrobe you can lock. I really enjoyed the common areas and it's easy to meet people. The kitchen is a little bit small when many people are there at the same time but you get your own locker in the kitchen with a key. I had an amazing time and want to go back again! Roof leaking when raining, too small kitchen, no alcohol purchased elsewhere allowed and for out from central Melbourne. WiFi was OK, staff were nice, mostly for long term it seems. Dirty worn down hostel would not recommend.